Questions and tasks for the registration examination are developed by a group of CMTNL subject matter experts (SME) who are massage therapists. 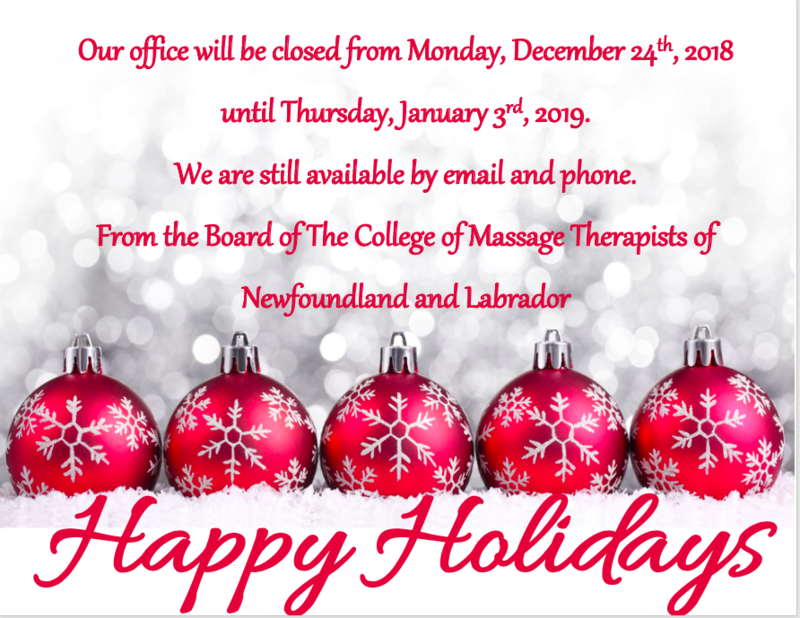 Questions and tasks undergo three levels of editing, and all items must be approved by the College of Massage Therapists of Newfoundland and Labrador. The CMTNL reviews and approves all items for inclusion in CMTNL examinations. The CMTNL administers the complaints and discipline process as set out in the Massage Therapy Act, 2005. The registrar handles all inquiries and concerns and conducts the initial investigation of complaints. All complaints must be in writing and directed to the registrar of the CMTNL. The Complaint Form may be used to file a complaint. All complaints are treated in strict confidence. The mandate of CMTNL is to protect and educate the public, regulate the profession, set professional and educational standards, enforce ethical conduct, investigate complaints against registered massage therapists, consult with the government on the approval of schools and programs of massage therapy. The public register contains up-to-date information on every Registered Massage Therapist in Newfoundland and Labrador. Information is initially obtained by the College when an individual first applies to CMTNL. Additional information is gained directly from registrants when they complete their annual renewal or when they notify the College of changes to their information. Our Annual AGM and Public Awareness Workshop is being held on September 29th and 30th, 2018. Save the date and more details will be coming!